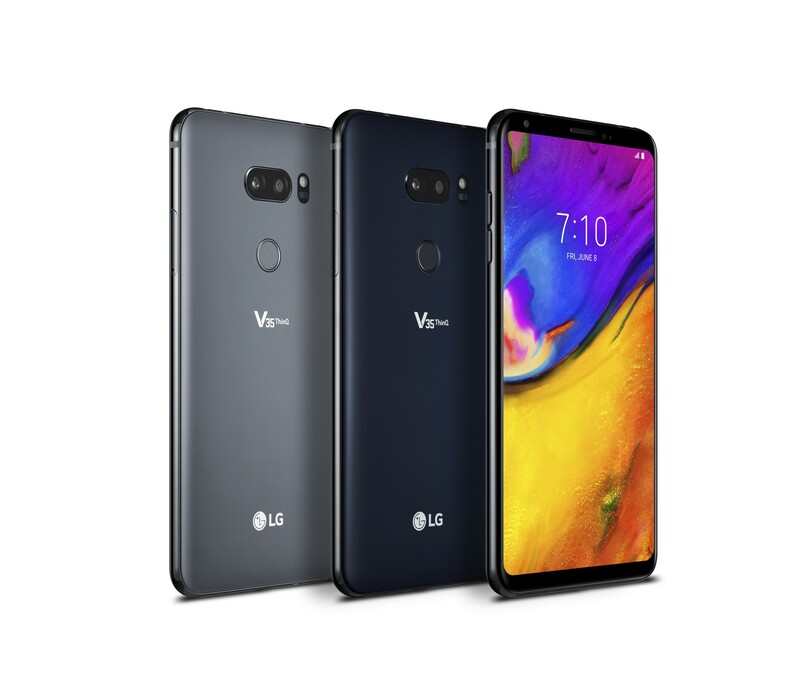 SEOUL, May 30, 2018 — LG Electronics (LG) today announces the LG V35ThinQ, the latest iteration of its highly acclaimed V series of premium multimedia smartphones. 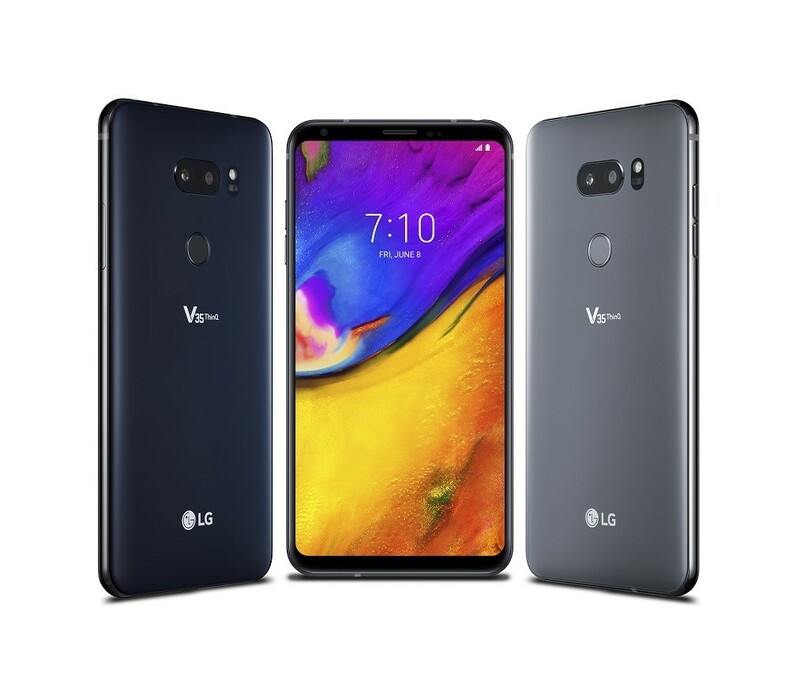 The LG V35ThinQ continues to inject new energy into the V series platform with even faster performance, and enhanced photography, audio and AI functionalities. The newest V series device will be rolling out in the Americas starting in June followed by limited markets in Asia, Middle East and Africa. Catering to the most demanding of users, the device features the latest Qualcomm Snapdragon 845 mobile platform paired with 6GB of RAM and 64GB/128GB of internal storage. The LG V35ThinQ retains the stunning 6-inch 18:9 OLED FullVision display with QHD+ (2880 x 1440) resolution in a compact form factor that weighs only 157g and measures a thin 7.3mm. The display is further accentuated with the scratch-resistant Corning® Gorilla® Glass 5 that is curved around the edge for a sleek and premium feel. 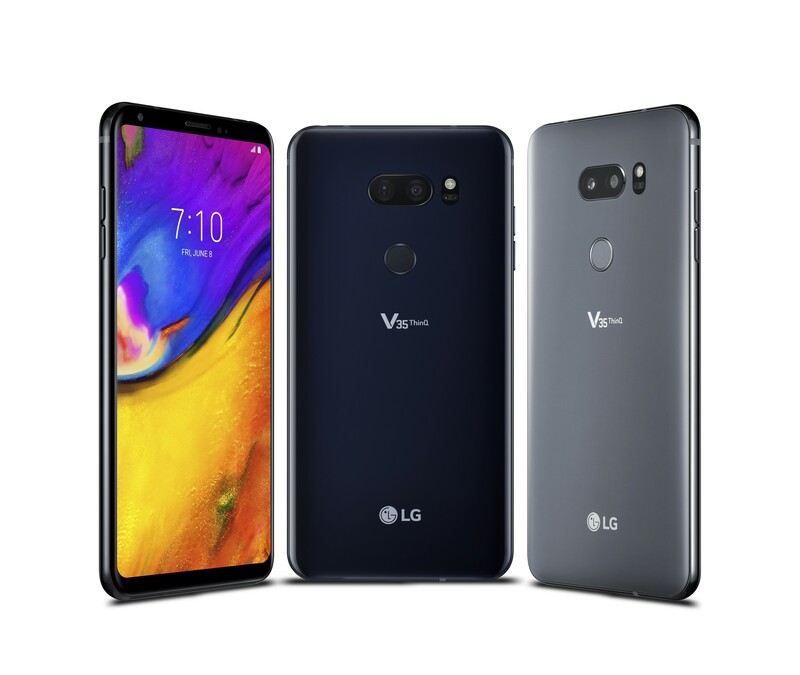 The LG V35ThinQ is built to withstand the rigors of daily use with its IP68 rating for dust and water resistance and a passing grade in 14 of the US military’s MIL-STD 810G tests for reliability of equipment performance in harsh environments. 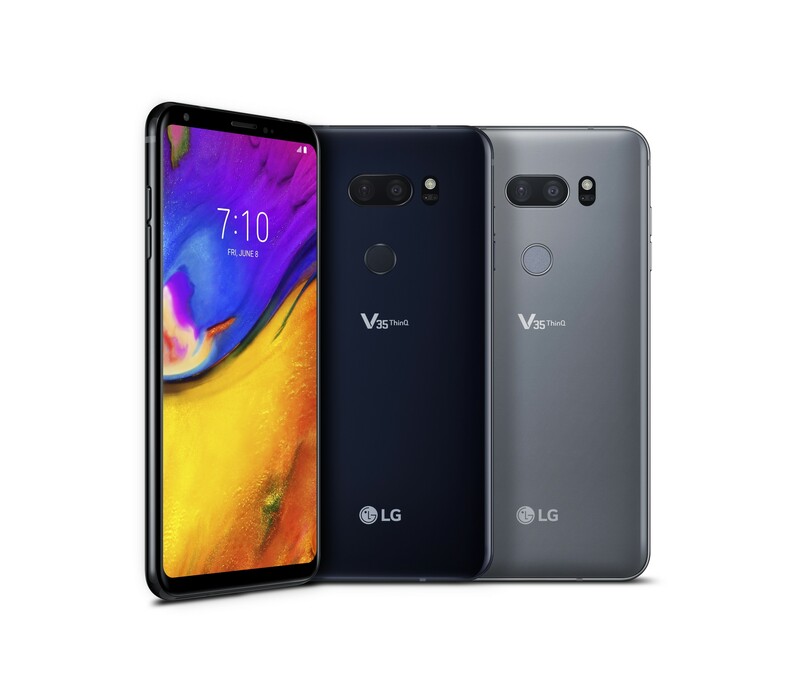 The LG V35ThinQ sports a new rear dual camera module featuring two 16MP lenses in standard and Super Wide Angle configurations that was first introduced in the new LG G7ThinQ. The Super Wide Angle camera now features less edge distortion with sharper and more natural photos from previously. The front camera gets a huge bump in resolution from 5MP to 8MP. The LG V35ThinQ features the improved AI CAM with 19 shooting modes to help users take better photos every time. Users will also find Portrait Mode to create bokeh shots with both the front and rear cameras, Live Photo to record a scene immediately before and after the shutter is pressed as well as Stickers for fun 2D or 3D overlay effects using face recognition. Improving on the low light photography capability in the V30SThinQ, the V35ThinQ features the new Super Bright Camera to capture low light images that are approximately four times brighter. With the help of pixel binning and advanced software processing techniques, the AI algorithm determines the best settings when shooting in dim environments. Following the LG G7ThinQ, the newest V series smartphone will also feature Google Lens in the camera app as well as from within Google Assistant and Google Photos. With Google Lens, users can get more information on objects such as landmarks, plants, animals and books by just pointing with the camera. Users can also visit websites, add a business card to contacts and add events to the calendar directly with the camera. With Super Far Field Voice Recognition (SFFVR) technology, Google Assistant can be accessed by voice up to five meters away. SSFVR is capable of accurately understanding voice commands even over background noises such as a TV and traffic. The Hi-Fi Quad DAC featured in the V35ThinQ delivers richer sound when paired with a pair of high-end headphones. And with DTS:X, listeners can enjoy virtual 3D surround sound up to 7.1 channel audio with any content while on the move. Additional details including price and purchase locations will be announced locally at the time of availability.